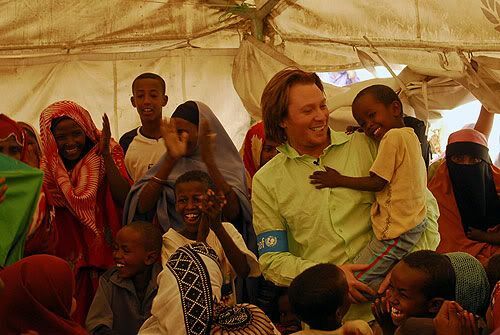 Clay Aiken – Happy Birthday, UNICEF! In “Here Comes Santa Claus”, what street is Santa coming down? 70 years ago today, UNICEF (United Nations Children’s Fund) was created by the United Nation’s General Assembly. Its purpose was to provide emergency food, clothing and health care to the children in countries that had been devastated in World War Two. UNICEF is headquartered in New York City and now provides long-term humanitarian and developmental assistance to children and mothers in developing countries. The following short history of UNICEF can be found on their web page. 1946 – Food to Europe… After World War II, European children face famine and disease. UNICEF is created in December 1946 by the United Nations to provide food, clothing and health care to them. 1953 – UNICEF becomes a permanent part of the UN…The UN General Assembly extends UNICEF’s mandate indefinitely. UNICEF begins a successful global campaign against yaws, a disfiguring disease affecting millions of children, and one that can be cured with penicillin. 1954 – Danny Kaye…The movie star Danny Kaye becomes UNICEF’s “Ambassador at Large.” His film, Assignment Children, about UNICEF’s work in Asia, is seen by more that 100 million people. 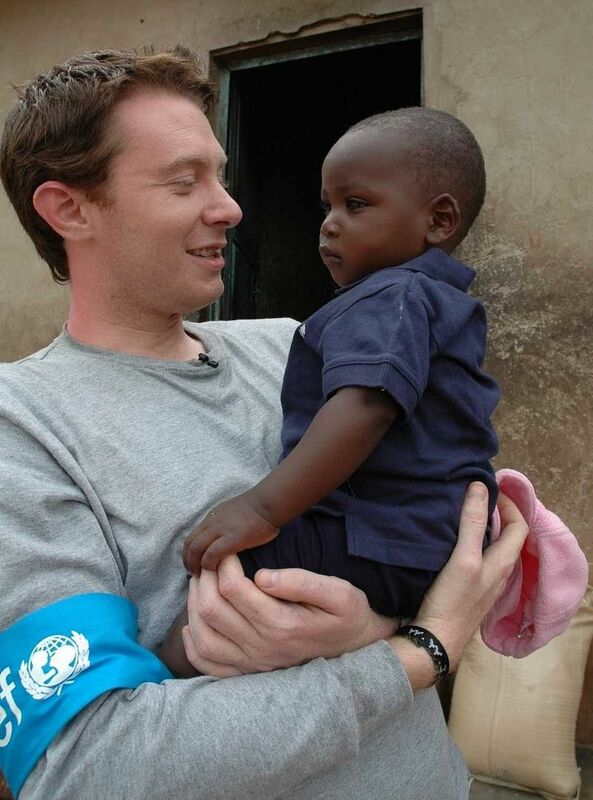 2004 – Clay Aiken…UNICEF approached Clay after hearing about his involvement with his own charity. 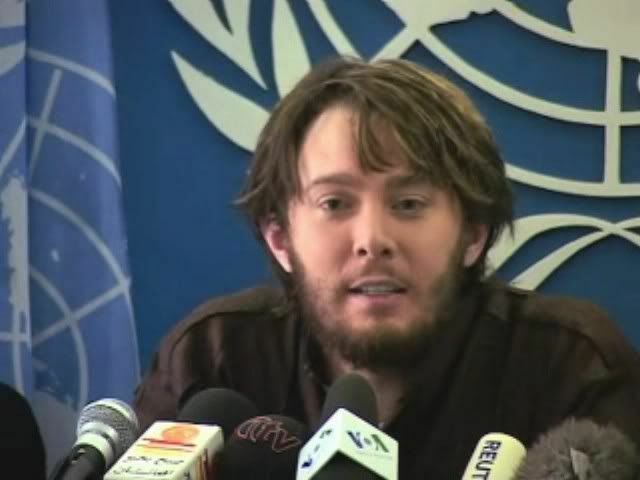 Blair wrote a lot of positive information about Clay and how he became involved in UNICEF. The following is the long article from SODEN. It really helped people understand what the UNICEF Ambassadors do and how they work within the tight rules and regulations of UNICEF. The pictures are everywhere — celebrities dressed down in earth-tone T-shirts and jeans, covered in dirt and looking incredibly out of place among a group of villagers in some Third-World country; it’s a far cry from the red carpet. Now Paris Hilton says she, too, is jumping on the humanitarian aid bandwagon as she plans her upcoming trip to Rwanda. Some are questioning Hilton’s motives for linking up with a humanitarian aid organization, wondering if she’s only doing it in effort to revive her tarnished reputation, or if she is truly involved in the charity Playing for Good’s cause. Hilton’s recent entrance into the world of charitable giving raises the question: Are celebrities lending more than just their names to a cause, or is it all about the photo-op? Celebrities’ association with humanitarian aid organizations is nothing new. Danny Kaye was one of the first actors to join a charitable organization when he was named a goodwill ambassador for the United Nations Children’s Fund (Unicef) in 1954. The comedian paved the way for other entertainers, among them Audrey Hepburn, Sarah Jessica Parker, David Beckham and Clay Aiken. While Unicef was one of the first international aid programs, as need spread throughout the world other organizations started popping up, adding to the list of charitable celebrities. Now organizations are even being established by celebrities. In 2006, actor Don Cheadle founded the Enough project with human rights activist John Prendergast. Prendergast said the celebrity attachment is an integral part of his organization. Lisa Szarkowski, who heads the ambassador program for Unicef agreed. Attention that leads to big bucks. Aiken asked fans to donate money to Unicef to help the children in Lebanon and raised more than $75,000 in 24 hours. So getting involved in causes may help celebrities draw attention to a specific need in some other part of the world as well as get their names in the spotlight — but just how involved are they? How Do Celebrities Get Involved? It’s not easy to be selected as a Unicef ambassador. The group sets high standards for celebrities to live up to. Aiken made the cut when he was named a Unicef ambassador in 2004. The organization approached Aiken after hearing of his involvement with his own charity, the Bubel/Aiken foundation that helps young people with special needs. Aiken said he felt obligated to help those in need. Despite some common misconceptions, celebrity representatives don’t just jet set off for a photo-op; they prepare for months before taking a trip. Celebrities sit through classes to learn about Unicef and all the various issues that threaten children’s survival around the world. Aiken said the preparation is necessary in order to meet with health ministers and other officials on these trips. Aiken didn’t know what to expect during his first visit to Uganda. He walked into the minimalist community center, where he expected nobody to know his name. Suddenly, he was greeted with bows from the crowd. All joking aside, no matter how famous — or infamous — a celebrity is, celebrity support is essential. But with so many problem areas across the globe, how do celebrities decide which country they want to visit? For most, the decision is made based on where the greatest need is at that time. In her eight years at Unicef, she said she’s never had a celebrity refuse to go where they were asked to go. And the places they’re asked to go certainly don’t come with luxe accommodations. “It’s usually a tent somewhere.That’s our standard accommodation,” said Szarkowski. 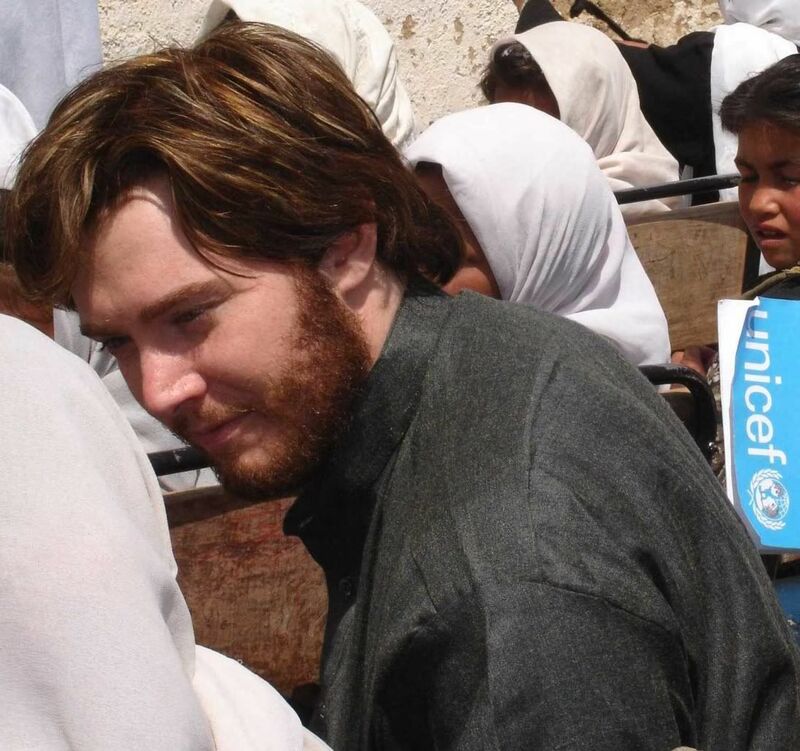 Aiken and others pay their own way when they travel on behalf of Unicef. However, once they reach their destination, they don’t have the need for many expenses. Most nights they’re sleeping in tents on the ground. In addition to the bare bones travel accommodations, celebrities must cope with extremely dangerous situations. In order to avoid conflict, Prendergast said every minute detail of the trip must be mapped out. “These trips have to be planned very well to ensure maximum impact and security,” said Prendergast. Security is something Hilton has expressed concern about regarding her upcoming trip, which has some people questioning her motivations. Hilton will be filming scenes for her new reality TV show while she’s in Rwanda, which has left some questioning the genuineness of her visit. But not everyone is upset about celebrities like Hilton lending their name to causes without much further involvement, if that is so in her case. But, Aiken cautions, a focus on one organization or charity is important to the public. While it remains to be seen how involved Hilton will be with her organization of choice, one celebrity who no doubt has stolen the humanitarian aid spotlight is in it for all the right reasons, according to Aiken. Congratulations to UNICEF on your first 70 years. You have made the world a better place for all children. 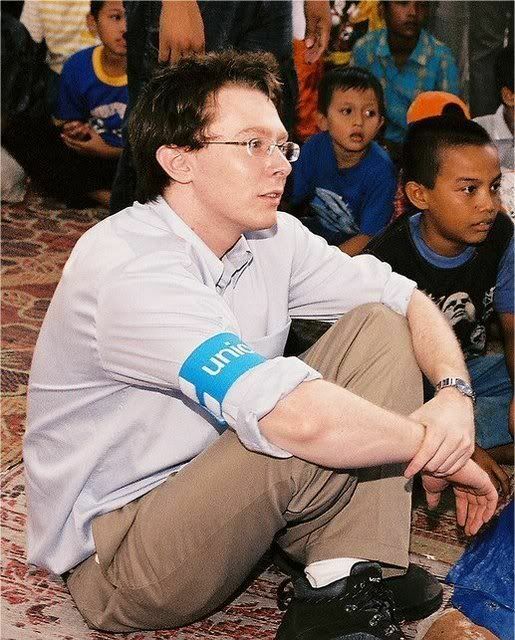 You were really smart when you chose Clay Aiken as an Ambassador. So proud of Clay and his dedication to organizations concerning children! Love all the pictures! Brings back many a Claymemory! UNICEF is one organization that I've supported over the years, and when Clay became an ambassador for UNICEF I was thrilled beyond words. 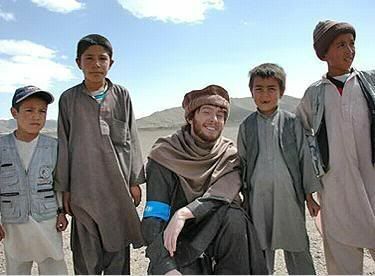 Clay has so much love and caring for others in need, not just here, but around the world. It was so interesting to read about the ambassadors. I loved reading all about Clay. Error: Error validating access token: Session has expired on Tuesday, 21-Aug-18 16:13:01 PDT. The current time is Friday, 19-Apr-19 05:48:17 PDT.